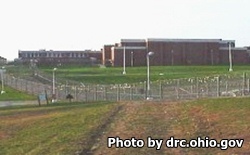 Southeastern Correctional Complex is comprised of a main compound located in Lancaster Ohio called Lancaster Unit, and an annex called Hocking Unit that is about 30 miles from the main compound. Hocking Unit houses approximately 450 inmates and Southeastern Correctional Institution houses around 2,081 inmates of minimum/medium custody. Inmates are held in open dormitories. This facility participates in the correctional industries program allowing inmates to work in health tech cleaning supplies. Additionally, inmates are offered adult basic education and can earn a GED during their incarceration. Southeastern Correctional Complex offers vocational programs in electrical wiring, building maintenance, farming, custodial work, plumbing, HVAC, recovery operations, and welding. Religious worship services are made available through the Chaplain's office. Other programs at this facility include the Harvest program which is a substance abuse treatment and recovery program,and the Intensive Program Prison which is voluntary and not available to all inmates and teaches work skills, education, and programs. Eligibility for the Intensive Program Prison is determined during reception, and allows the inmate to complete 90 days of incarceration and then places them on post release supervision. Anyone wishing to visit an inmate at Lancaster Unit or Hocking Unit of the Southeastern Correctional Complex will need to schedule a reservation in order to visit. Visits are conducted on Thursdays, Fridays, Saturdays, Sundays, and Mondays from 7:30am-3:30pm. Processing for the morning session ends at 9:45am and processing for the afternoon session ends at 2pm. Name of everyone who will be attending the visit and their relationship to the inmate. Date of and time of your requested visit. This facility also participates in video visitation through JPAY. You must still be on the inmate's approved visitors list to video visit. Sign up for video visitation through the JPAY website, a fee is charged for each 30 minute video visit.